The hook for True Story is exactly that… that this is a true story. 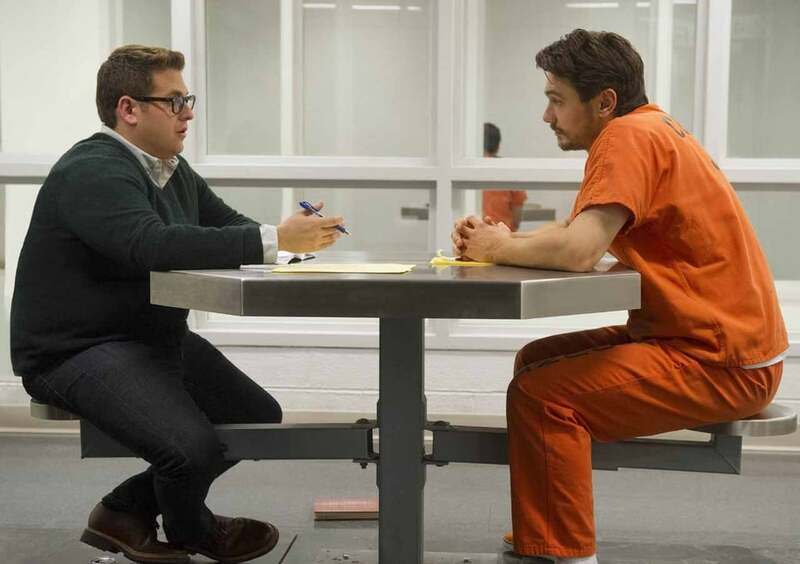 It begins in a very intriguing way as well, with James Franco’s suspected murderer using Jonah Hill’s shamed journalist’s name when he is arrested. It brings the two together and what comes next is an effective cat-and-mouse relationship where Hill’s Michael Finkel wonders whether he can truly trust Franco’s Christian Longo. Or at least, that is what it should be. 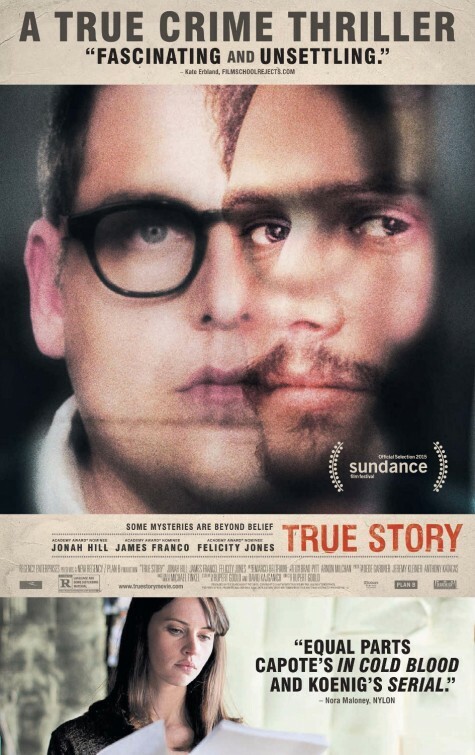 There is something lacking from True Story. The initial premise is a very interesting one and will have you hooked for the first twenty minutes. The performances carry this through as well. Jonah Hill extends his dramatic credentials further, playing it straight and very well as Finkel, trying to pries the truth from Franco’s potential killer. Franco is also on form. He does very well to keep his character creepy but trustworthy. One scene involves him giving a testimony to a court, attempting to prove his innocence, and the delivery of the speech is excellent, helping you to truly question the guilt of the character he plays. Unfortunately, by the time he makes this impassioned speech and the “twist” to the movie is revealed, it has come too late. One major issue with True Story is that you struggle to care whether Franco’s character is guilty or not. He isn’t evil enough to be compelling like Hannibal Lecter or earnest and honest enough to probably be innocent. Franco plays the character somewhere in the middle and it never quite gels or feels authentic. This goes for the whole film generally. Rather than try to tell the story slowly, letting each new clue to the guilt or innocence of Longo develop and become uncovered piece by piece, the film forces the information, sometimes feeling rushed and too quick to get to the big “reveals.” Unfortunately, the reveals the film wants to be shocking aren’t because the audience doesn’t care. A little more depth is needed before the “twists” in the plot can effectively grab the audience. It is a shame too because there is a good story underneath the thin movie that presents it. The fact that Longo had such a deep impact on Finkel is another tale entirely and it seems that the movie spent a little too long focused on one area when there is a wider story between the two characters to explore. Overall, True Story may be exactly that but it needs some more depth and time to tell the tale effectively. Two very good performances are at the center of the film but without some development to the story itself, they can’t save this from being forgettable at best. Nice review. I think I’ll still give this a watch even though you weren’t too convinced, as I’ve been meaning to see this film for a while.